* disclaimer, the above burpee, while may technically count to the people of Guinness (it’s currently unverified if his attempt has been accepted), please don’t use this technique as a guideline as to HOW to do it properly as it’s likely modified so it’s sustainable for 24 hours. Keep reading for instructions! What kind of a name is “burpee” for an exercise? Legend has it that they were invented by Royal H Burpee, and American physiologist in 1930s as a way to assess fitness levels. Not because you want to burp whilst doing them. 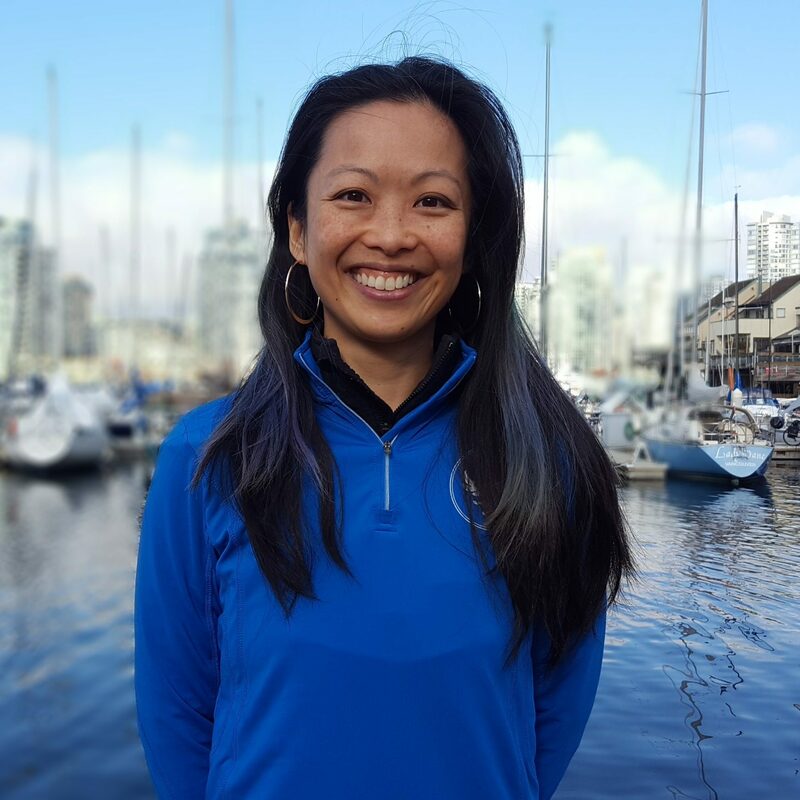 Some sick individual thought this would be great for the average person to do, and ta-dah, now we have burpees making regular appearances in your fitness routine and bootcampers in Vancouver parks. What’s so great about burpees? As far as my clients will tell you, not a heck of a lot. Actually, burpees are a quick and easy way to get the heart rate elevated, and if performed correctly, can tell us about your agility, coordination and strength. They are best used to keep up the intensity of a workout and good use of time between exercises, if standing around is too boring for you. Are burpees right for me? That depends on what the purpose of doing burpees is to serve. While it is a perfectly fine movement for the vast majority of “apparently healthy individuals,” they don’t suit everyone’s personality or goals. For example, if you want to improve flexibility or have never been active before, it might not be the right place to start. 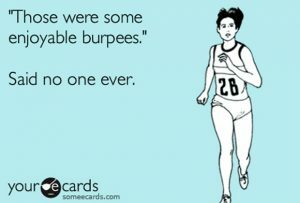 If you enjoy a challenge, have a competitive side and love a good burn, then burpee-away! Do not do burpees if you have knee, hip, shoulder, lower back or neck issues, heart conditions or are recovering from surgery. Burpees may cause negative side effects such as irritability, frustration, pain, cursing at your trainer and excessive sweat loss. Please consult with your medical doctor to find out if burpees are right for you. So how do you do burpees? This video was the boys of Le Physique doing burpees to raise money for charity, all thanks to our clients! Fast forward to 0:30 to see burpees in action. I’m ready to do burpees! What world records can I shatter? Good luck in your quest, we believe in you! And if you’d like to incorporate burpees into your workout routine but aren’t sure how, give us a call. Otherwise, give it a try and let us know how it goes. Tell us just how much you love them!